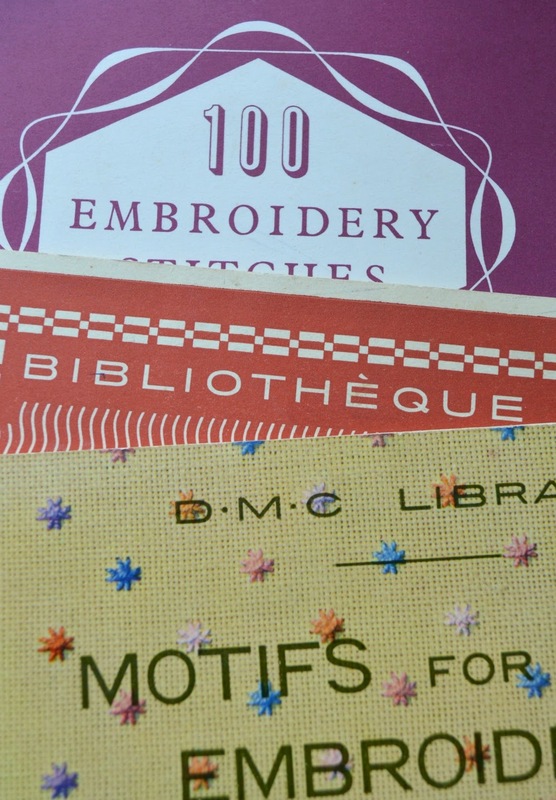 I've added a few older, second hand embroidery books to my collection in the last couple of weeks. I bought some vintage craft magazines too, which I will share in a separate post. The book on the bottom of the stack is Anchor's '100 Embroidery Stitches'. A small but really useful book with clear diagrams. Anchor is the name under which Coats sold, and still sell, their embroidery and craft threads. Originally there were two separate companies (Coats and Clark), but later they merged into one company. 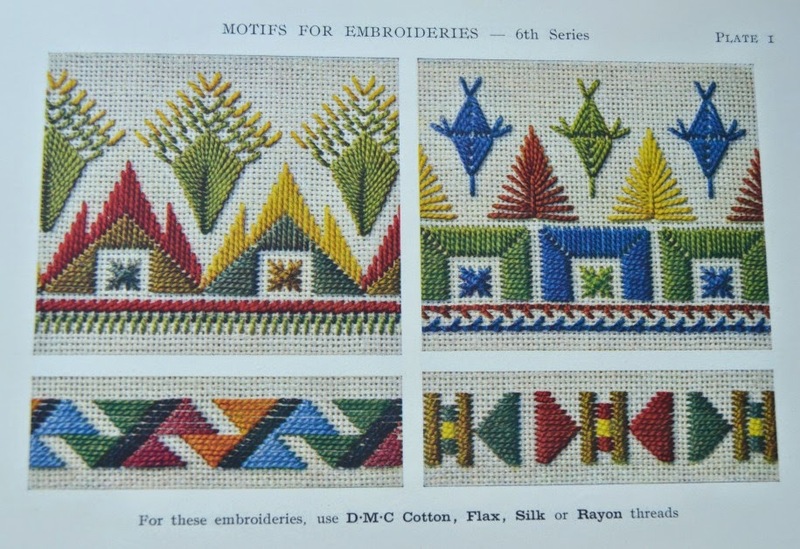 A lot of Anchor Embroidery books (on various subjects such as canvaswork and Spanish Blackwork) were published over the years. The copy I bought is probably similar to other editions they brought out. You can regularly find them on Ebay for just a few quid. The DMC books (or rather: booklets) are very different in content. The one with the red cover has a good number of cross stitch designs of animals mostly. When I purchased it online I had mistaken it for an older DMC booklet, with border motifs and such from around Europe. So when the booklet arrived I was surprised to come across patterns of geese, ducklings and forest animals. 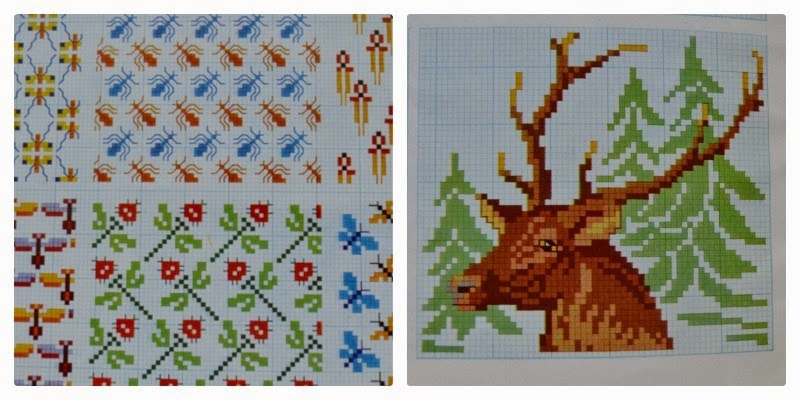 The insect repeat patterns are quite groovy though and I like the slightly kitschy stag too. P.S. A few things that I haven't got round to: putting some of my embroideries on sale in the shop and preparing a second blog post about the X and Plus Quilt (including a small tutorial). At the moment all of my sewing stuff and embroideries are packed up due to the rebuilding of the bath room so bear with me for a little longer! The whole house is covered in dust (it's EVERYWHERE) so I'm kind of glad my sewing supplies are safely packed away! 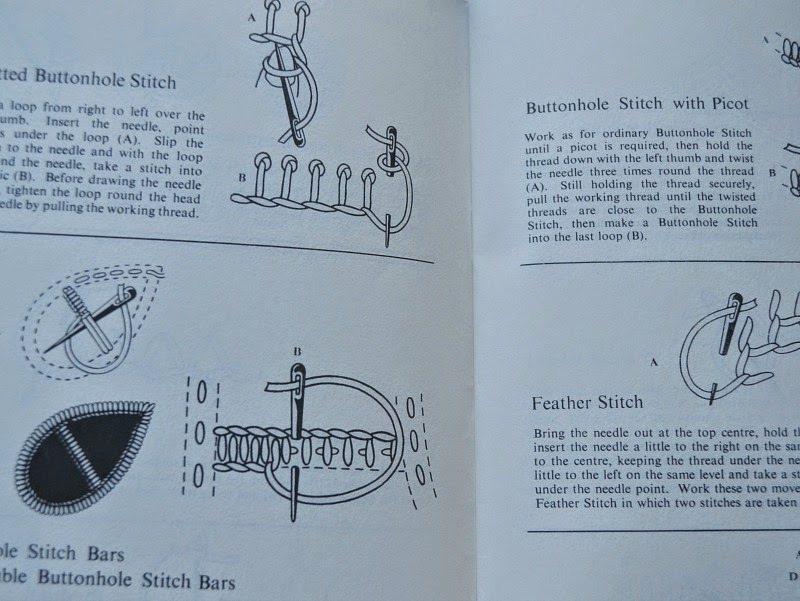 I have the Anchor book of 100 stitches from the 60s and still carry it around as i refer to it often! Vintage books are always such fun to look through, and it looks like you have come across some lovely examples.